Judy Jackson is the Managing Director of MRL Safety and one of the founders of MRL Limited, with day to day accountability for managing the range of companies which form MRL Limited. Judy has a wealth of management and financial experience, having worked for 18 years in the banking sector, as well as 10 years experience in residential social care. Operationally Judy has been lead director on a number of high profile safety projects for clients across the UK, and specialises in scoping complex project briefs. Judy regularly manages Event Control Rooms for a range of festivals and events. Judy holds a NEBOSH safety qualification, a certificate in Business Studies and a Diploma in Social Work. Judy is an Associate at EPC, Easingwold where she leads on the Working in Event Control and the Medical and First Aid Planning for Events courses. Phil Storr is a director and one of the founders of MRL Limited, leading on civil resilience projects. He is currently leading on work with our partners Aerialtronics to develop the use of commercial level Unmanned Aerial Vehicles (UAVs) across the UK in the resilience, public safety and infrastructure protection sectors. 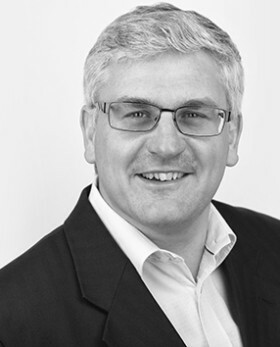 With over 25 years of experience in operational management, crisis management and incident response, Phil has led and delivered a number of complex programmes in the private sector, NHS and central government departments in the UK, Europe and Middle East. Having originally studied engineering Phil then joined the ambulance service serving as a paramedic officer for 10 years before holding a number of management positions. He has an MBA/Executive Healthcare Leadership award, and MSc in Emergency Planning & Disaster Management and is a member of the Institute of Civil Protection & Emergency Management and the Society of Emergency Services Officers. Tony originally worked as an electrical installation engineer who worked on projects in all sectors until 1979 when he joined the West Midlands ambulance service working on front line Ambulances in the South Birmingham area. During this time was given leave of absence to take on voluntary work in war torn Bosnia and Croatia, taking and distributing medical and humanitarian aid throughout the war zones also taking surplus emergency vehicles from the UK to help replace destroyed equipment there. Tony became a Paramedic in 1993 and has kept the qualification up to date since then. On leaving the ambulance service in 2003 Tony started working for MRL Safety as an event medic at numerous major events before working with MRL’s safety personnel gaining a great deal of experience in all aspects of the work. Tony studied for his NEBOSH National General Certificate in Occupational Health & Safety and since then has worked on events such as European Games in Baku, Wakestock, V festival, Olympic Torch Handover, Tower of London festival, Ken Block dirt2 Launch, and many major concerts and festivals. Tony’s hobbies include motorsport which for many years took up all of his spare time managing a small international saloon car endurance team competing all over Europe at most major circuits, and winning several major titles. Rachel is the main admin part of the MRL Safety team. She is likely to be the first person you speak with from the team and will be able to arrange for you to speak with other members of the team or for any information you need to be sent out to you. Rachel’s previous experience has given her great skills in proof-reading and she ensures that our documents make sense! Having decided whilst doing his ‘A’ levels that he wanted to become a Chartered Accountant, Stuart joined one of the top ten accounting firms where he qualified in 1986. In 1990 Stuart joined an independent practice in Leeds and was appointed a partner in 1994. Stuart joined his current practice Thomas Coombs & Son in 1998 where he still remains as a partner. Stuart spent much of his early career looking after multi-national organisations but felt his strengths were better placed dealing with owner managed, family run businesses in the SME sector. With nearly 23 years experience Stuart now works closely with many of his clients providing business advice, treasury management, financial controls and tax planning. Stuart is one of four partners with Thomas Coombs & Son operating from offices in Leeds where the firm employs 30 staff providing a full range of services to their clients. Stuart attends MRL Safety’s board meetings ensuring that the group is financially stable and maintains the group budget and business plan to monitor the continued growth of the MRL Group.